Giacomo Puccini. Very Good. In very good packaging. 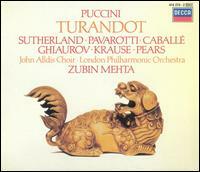 Puccini: Turandot by Sir Peter Pears.